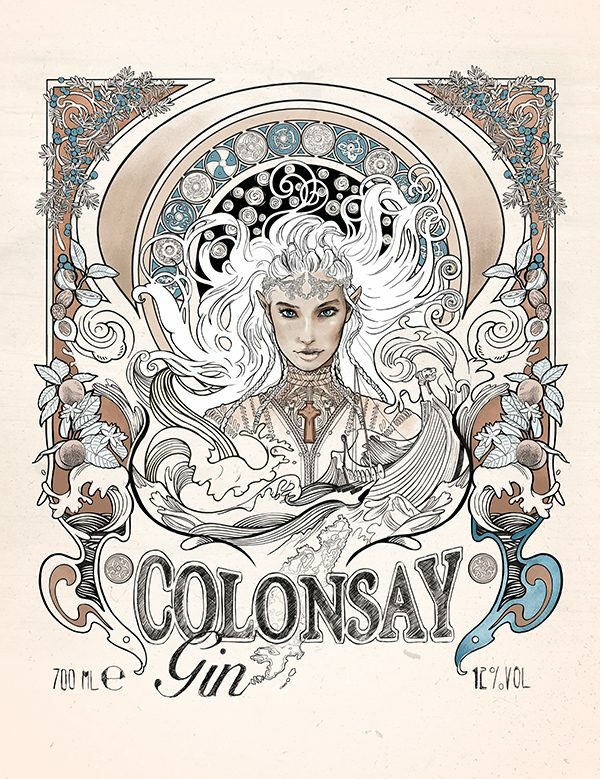 This was a brief for Scottish Distillery Wild Thyme Spirits. 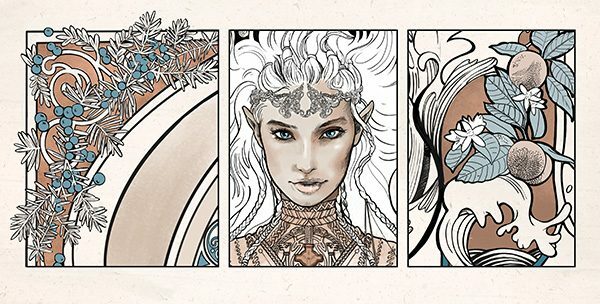 I was asked to create an Art Nouveau inspired illustration depicting the Elven princess Alva, and the ship she traveled on with the Vikings, being cast ashore on the Isle of Colonsay. We used ingredients from the Gin recipe as border elements.